Green Motion has committed to a second year of running its carbon neutral offset scheme, enabling rental customers to help support eco initiatives. 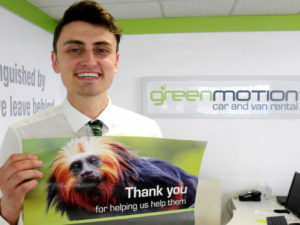 The firm began its carbon neutral programme in June last year – which enables customers to offset the subsequent carbon emissions by donating £1.25 – and claims to be the first carbon neutral vehicle rental company. Since then, the campaign has donated thousands of pounds to work to combat global climate change, covering two projects that prevent deforestation of the Amazon Rainforest: the Florestal Santa Maria Project and the Portel-Pará Project. The company, which runs a fleet of electric, hybrid and low-emission vehicles, has confirmed that it will continue to support these Amazon Rainforest initiatives for a second year.